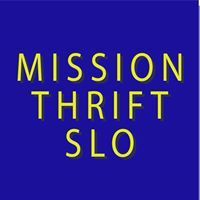 Mission Thrift is located at 2640 Broad Street in San Luis Obispo. It is staffed by a manager and paid staff, as well as volunteers; it provides valuable financial support for Old Mission School and a needed service for the community. Families will be required to complete their Thrift Store hours during an assigned two month period (see below). The schedule was created to ensure a steady supply of help for the store throughout the school year. Payment for incomplete Thrift Store hours will be due at the end of the school year.